At any given point throughout the course of the past several weeks, there have been at least two medium-sized pots of leftover bittersweet chocolate ganache threatening to topple out of my perpetually crowded refrigerator. This is what some might call a first world problem. Like most other first world problems, the solution to excess ganache is both practical and straighforward. It is also delicious, although that last bit might be germane solely to ganache related calamities. 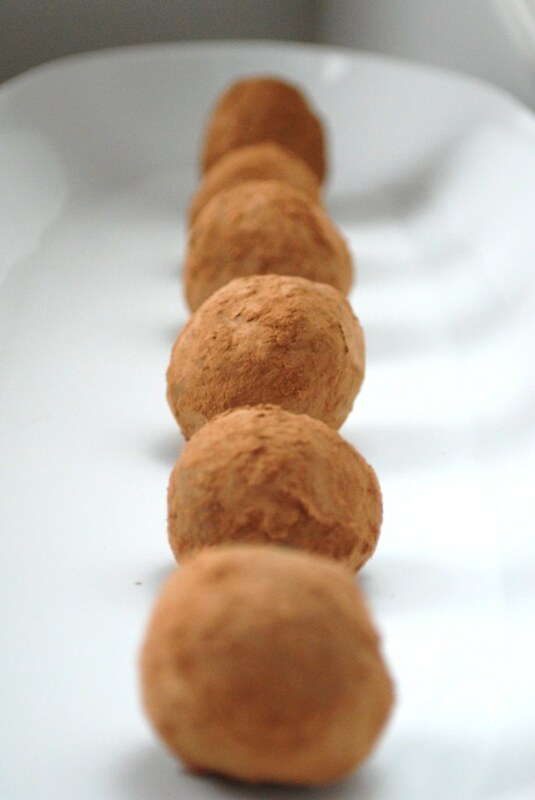 Chocolate truffles, those sweet and decadent everyman's version of the priceless aromatic tuber, are at its most simplest, simply scoops of chilled ganache that have been dusted in unsweetened cocoa powder or any other variety of topping (coconut, sesame seeds, cinnamon, ground nuts). The name is obvious since the dusty little uneven balls of chocolate often strongly resemble their namesake. I'd be completely lying--or at least withholding the truth--if I didn't admit that biting into a truffle that's still cold from the refrigerator while lying on the couch in your pajamas is the absolute best possible way to watch Gossip Girl and the post-Gossip Girl local news report on what parents think of the scandalous "3some" non-scene. This is my recipe for espresso flavored truffles, although the same one can be followed minus the espresso for a plain version. Just be warned that this recipe is for 50 truffles so it would be wise to have a plan for them before you get started. Otherwise you might end up with another first world problem. This basic recipe will yield about 50 truffles, which can be stored in the refrigerator for up to 10 days. They also will keep at cool room temperature for a few days, but keep away from the heat as they will melt. Tucked into a small box or plastic gift bag, they make a quick and easy party favor or hostess gift. Perfect for all those holiday parties! 1. Place the chopped chocolate in a large glass bowl. In a medium size saucepan over medium heat, heat the cream until it just starts to steam and bubble slightly on the edges. (Do not let it boil). Remove from the heat immediately and quickly stir in the instant espresso until it dissolves. 2. Pour the hot cream and espresso mixture over the chopped chocolate and stir until the chocolate is completely melted and the chocolate is incorporated into the cream (it'll take a few stirs until it's really all uniform and slightly creamy). 3. Let the ganache cool to room temperature and then place in the refrigerator to chill for at least two hours until it is completely cold and firm. 4. Use a melon baller or small ice cream scoop to scoop 1 tablespoon sized balls of ganache. 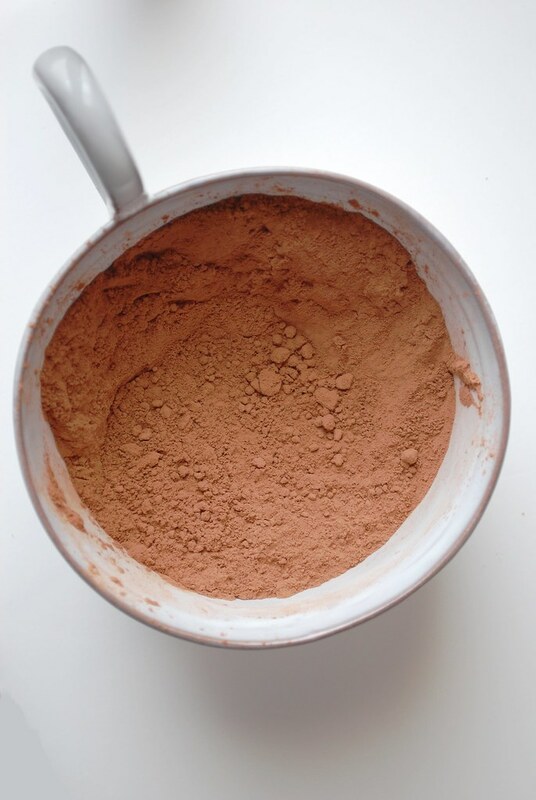 Use your hands (dusted with cocoa powder first) to quickly shape them. Don't worry if they aren't perfect; they're supposed to look a little rustic. Set these on a lined baking sheet until you use up all the ganache. If it starts to soften a bit, just pop it into the fridge for 5 minutes before continuing. 5. 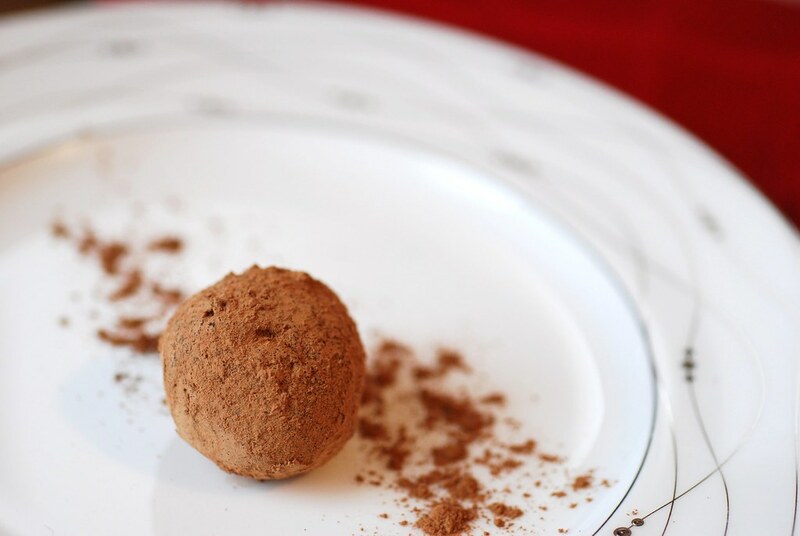 Roll each truffle in cocoa powder (chopped nuts, shredded coconut, confectioner's sugar, or a blend of cinnamon & sugar also work!). Serve immediately or store them in an airtight container in the fridge for up to one week. Just discovered your blog. Very nice writing! I, too, often have the first-world problem of too much ganache. See my post on fancypantsfoodie.com on flavored ganaches. I was LOLing so hard at "first world problem" that I had to tell my hubs what I was laughing about! Oh and flavored ganaches = amazing! 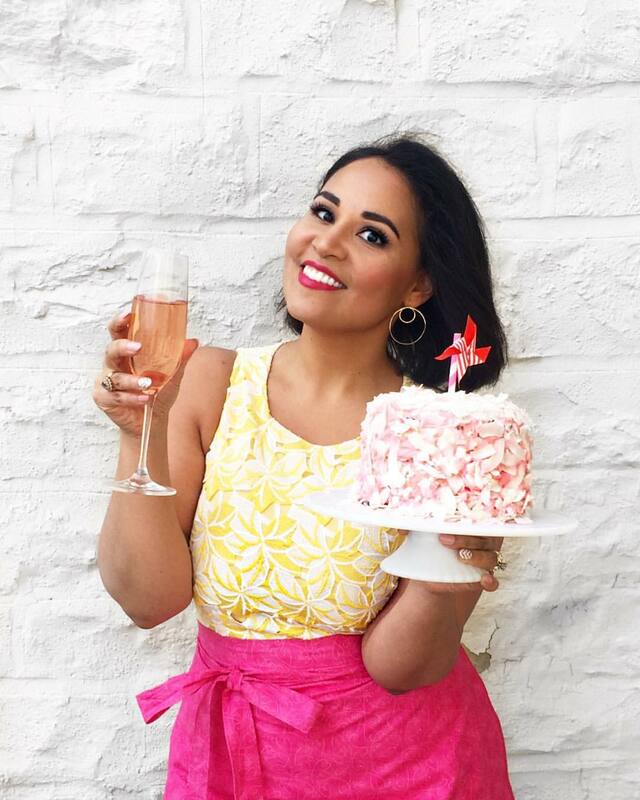 Thanks for the link to your blog!